Most frequently used data recovery modes adopted by data recovery software are recover lost partitions and file recovery which includes recovering deleted files and formatted files. Lost partition recovery is mainly used to get back lost partitions that can’t be seen in Disk Management, while file recovery deals with recovering deleted or formatted files as well as RAW partition (or partition can’t be opened). The precondition of successful data recovery is that lost files are not overwritten and file directory structure gets little damaged. Thus, we need to keep the original scene and never write anything to the partition/disk after data loss, otherwise file recovery function can’t get a satisfactory result. What if file directory structure gets badly damaged or data overwrite is done? If file directory is damaged which records data information such as file size, location, etc., then file recovery function of most data recovery software can’t find any useful file. At this moment, we should adopt the data recovery approach “recover files by file type“. Recover files by file type is a data recovery solution which finds file type and size by analyzing data stored on sectors. Data is stored on hard drive with continuous space, separated from file directory information, which makes it possible to recover files by file type. Since directory is damaged, file name can’t be recovered, i.e. 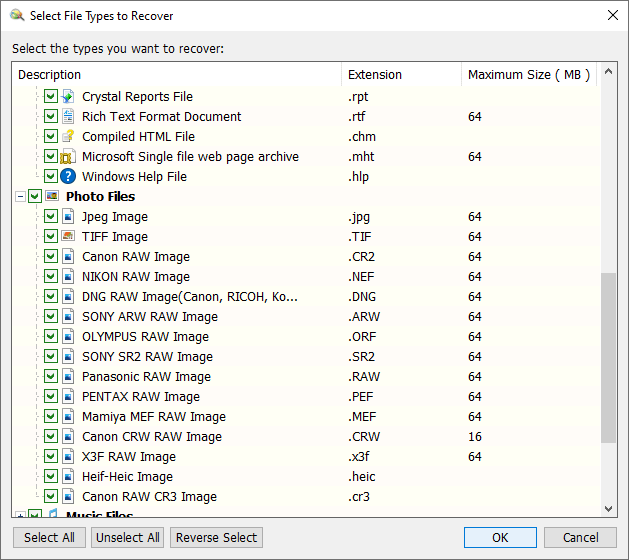 recovered files will be named by numbers or something, while this is acceptable if you just want to recover picture, word files, excel file, etc. How does “recover files by file type” work? In fact, each file type has its own way of storing data with specific format; in general, files with same extension name adopts same storing format. For instance, GIF picture file always starts with “GIF89a” or “GIF87a” which is followed by data recording width and height; after data structure is color table and picture data (a GIF picture sometimes is composed of several pictures). Therefore, when searching for lost files, program can decide the file is GIF if it finds a sector starts with “GIF89a” or “GIF87a”. Recovering files by type needs knowing file structure, but each kind of file has different file structure, so such function requires software developer have good command of all kinds of file type and the way how to store data. Luckily, at present, some data recovery software has already provided this function, and yet some has ordinary data recovery result due to bad algorithm. 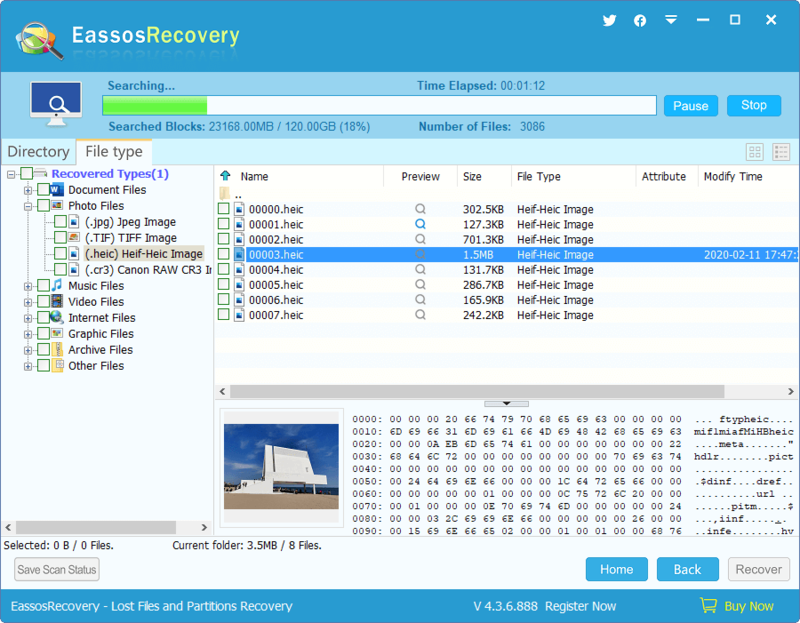 When perform data recovery we should use qualified data recovery software such as Eassos Recovery, powerful and easy-to-use, which is suitable for we common computer users. This entry was posted in Data Recovery and tagged data recovery, Eassos Recovery, recover files by type by EASSOS. Bookmark the permalink.